No dishes. No bills. No work calls or meetings with the boss. Just you and your kids enjoying life. We all need a break from the minutiae of daily life, right? Still, traveling with kids isn't all rainbows and cupcakes; it's also notoriously exhausting. Sleeping in a hotel room with children can be a challenge on its own, but there are also nap times, snack times, and meltdowns to deal with. It helps if the parents get a break every now and then. 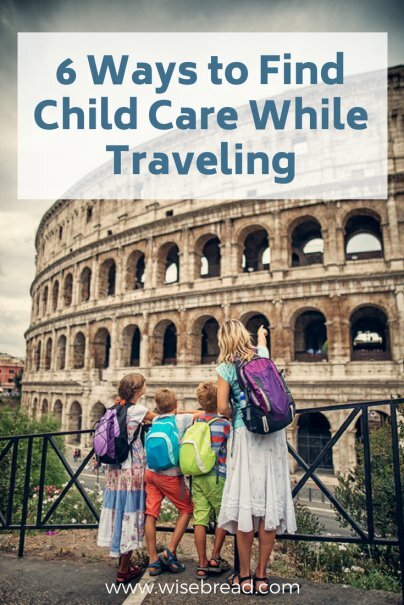 If you are someone who loves the idea of having child-care on a family vacation, consider these strategies. There are a few trips you can book where child-care is ready and waiting for you, the first of which is all-inclusive resorts. Many of these resorts are on the beach in destinations like the Caribbean and Mexico, and they offer your food, drink, lodging, and entertainment for one price. The majority of all-inclusive resorts also offer dedicated kids' clubs where you can drop your kids off for a few hours or the entire day. Some only allow you to drop off your kids for a few hours at a time, while others are open from morning until night. There are some all-inclusive resorts you can book with points as well. The Hyatt Ziva Rose Hall in Montego Bay, Jamaica, for example, costs just 25,000 points per night (double occupancy) plus a 12,500 point per night supplement for each child. This resort includes food, drink, and fun, plus a kids' club that is open all day. Cruises are notorious for offering family-friendly (and affordable) fun, but part of that is the fact they have on-site child-care. The vast majority of major cruise lines offer some kind of kids' club that is open most or all of the day. Some cruise lines will even watch your child while you leave the ship at your cruise stop for the day. Many onboard kids' clubs offer much more than baby-sitting as well. On the MSC Divina, for example, kids participate in language lessons, crafts, games, and trivia. Not only are you getting child-care, but you're giving your children a unique experience of their own. Imagine your family decides to rent a beach house with another family. You may save money by splitting the costs, and it can be convenient to have more adult eyes on all the kids. If you swap a night or two of baby-sitting, everybody wins. While some hotels offer kids' clubs, there are just as many that offer child-care you can book separately from your room rate. If you stay at select Walt Disney Resorts, for example, you can book in-room baby-sitting starting at $18 per hour for one child ($21 for two; $24 for three; $26 for four). It's not cheap by any means, but it can give you a break to go out to dinner or enjoy some quiet time. Many Omni hotel properties also offer kids' clubs and baby-sitting for a fee. At the Omni Homestead Resort in Hot Springs, Virginia, a full day of child-care with lunch costs $77 for the first child and $57 for each additional child, for example. If you're taking a special trip and don't mind splurging, you can also bring a vacation nanny along. This might work best if someone you know is able to travel and care for your children. You would need to pay all their travel expenses at the very least, and you will likely need to pay them a daily rate as well. You could also plan a multigenerational trip, potentially bringing a grandparent or set of grandparents along. You may secure some child-care that way, although you should ask ahead of time to make sure your expectations will be met. If you don't know anyone who would work, you can also use a service to hire a vacation nanny. For example, NannyPoppinz.com makes it easy to hire vetted nannies that will travel where you are and provide child-care during your trip. If none of the above scenarios work for you, consider hiring as-needed baby-sitting in the destinations where you're traveling. Care.com and SitterCity.com are good resources when it comes to finding baby-sitting wherever you plan to be. According to Care.com, vacation baby sitters are paid an average rate of $12.50 per hour. The website makes it possible to browse options in your destination, read over caregiver qualifications, and ask questions. Ideally, you'll find someone who can baby-sit while you enjoy a dinner out, a daylong snorkeling trip, or a special event. You can even book a travel nanny for several days or nights during your vacation. When Mom and Dad are exhausted, it's more difficult to have the vacation of a lifetime. With child-care included, on the other hand, everyone gets the break they need.